Born at Portage la Prairie on 3 August 1883, son of Hugh Savigny Paterson and Ella Lucille Snider (1861-1942), he was educated at Portage la Prairie and Toronto. Early in his career he was associated with the Lake Manitoba Railway and Canal Company and was a telegraph operator, private secretary and purchasing agent with the Great Northern Railway Company. In 1903 he began working in his father’s grain business and, in 1908, he set up the grain firm of N. M. Paterson and Company at Fort William [now Thunder Bay], Ontario. 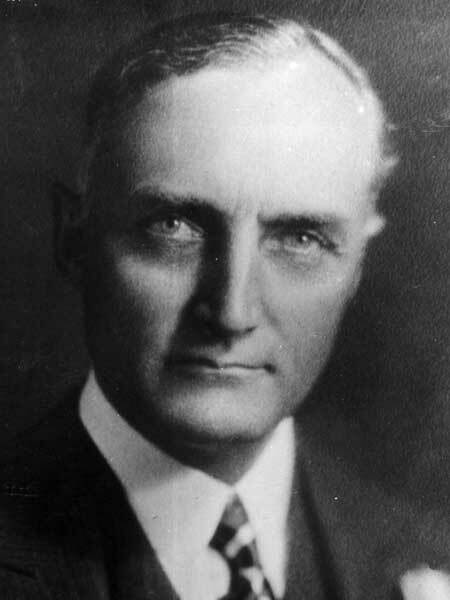 He was also President of Paterson Steamships Limited, Kaministiquia Power Company, Traders’ Building Association, Montreal Drydock Company, Canadian General Insurance Company, and Mount McKay Railway. He was appointed to the Senate in February 1940 and resigned in 1981. On 2 June 1915, he married Eleanor Margaret Macdonald (?-1970) at Winnipeg. They had six children: Elizabeth Paterson (1917-?, wife of Eric T. Webster), Donald Paterson (b 1918), John N. Paterson (1920-? ), Mary Paterson (wife of A. Norton Francis), Nancy Paterson (wife of Paul A. McFarlane), and Joan Paterson (wife of Ayton G. Keyes). He was a member of the Masons and Presbyterian Church. In 1937 he was inducted into the Order of St. John of Jerusalem. He was an Honorary Life Member of the Manitoba Club. He died at Ottawa, Ontario on 10 August 1983 and was buried there. “Six new senators named; two judicial posts filled,” Winnipeg Free Press, 10 February 1940, page 28. Obituary [Eleanor Margaret Paterson], Winnipeg Free Press, 30 June 1970, page 34. Obituary, Winnipeg Free Press, 12 August 1983.